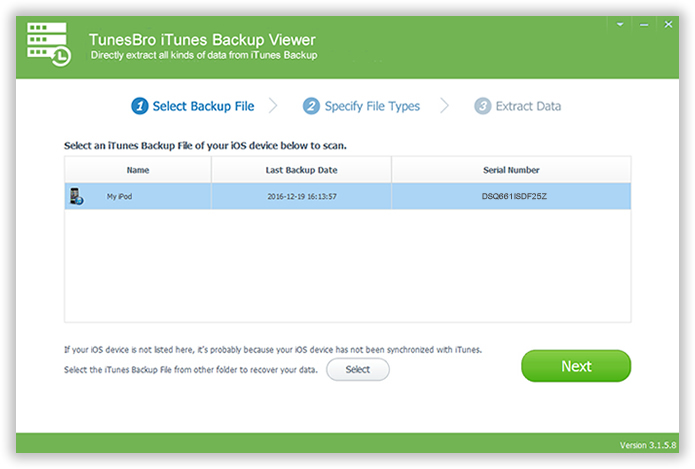 How To Extract iPhone, iPad and iPod Data From iTunes Backup? Posted by Melissa Parks on Aug.31, 2016 17:18:49 PM. Some people compare the process of extracting data from iTunes Backup to that of the root-canal procedure. They state that even though it is a beneficial process, it is not essentially something that they want to go through. The reason stated for this comment is that it is a precarious act. 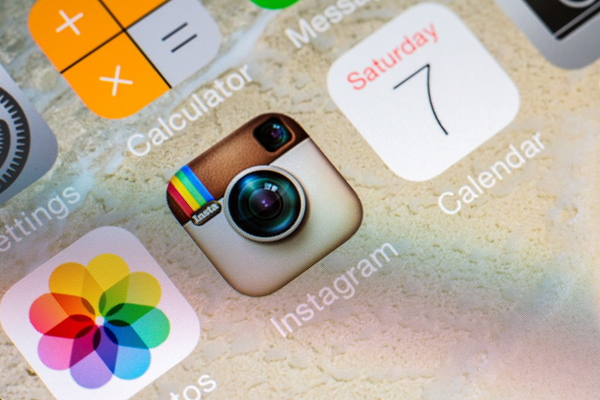 In fact, taking a backup of your iOS device through iCloud or iTunes is an easy process and it will let you to stay rest assured that your data, regardless of the types like photos, notes, contact or any other type if data is kept safe and it will turn out to be recoverable data in the case of a disaster to your device or even in the case of your decision to switch to a new iOS device. There are chances that your device might be lost or stolen or even it might have been damaged or broken or you might feel that it has become outdated. Irrespective of the reason, restoring your device from iCloud or iTunes backup is not a complicated affair these days as compared to what it was some years ago. But, for data extraction from iTunes backup, you should be using a reliable tool. Yes, you have guessed it right. 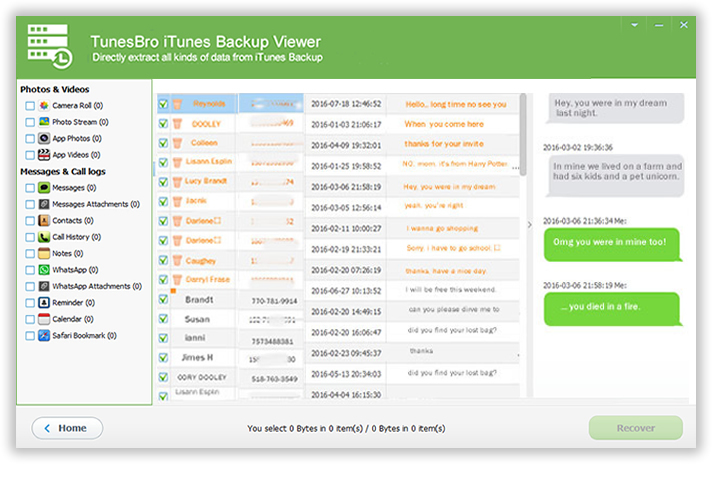 Here, we are talking about the TunesBro iPhone Backup Extractor tool that will help you with easy and safe extraction of iTunes backup. 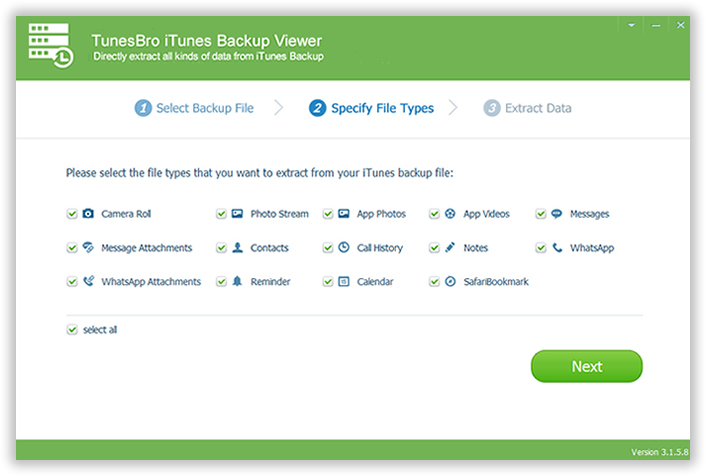 In general, the iTunes backup file is in a format that is not accessible and readable. Even, if you find the backup file, you will not be in a position to get the content out of it directly. But, this tool will give you a hand, if you are going to obtain and bring back your iPhone data from backup file. The general recommendation is that the users should not sync their iPhone with iTunes before attempting to restore data from iTunes backup file. But, even if you have done it, you can use this tool for easy extraction of data from iTunes Backup. This tool will help with the safe extraction of any type of data, irrespective of whether you need to extract your photos, messages or any other files for that matter from your iTunes Backup. 1) The program make it possible to recover all types of files like contacts, pictures, call histories, MMS, SMS and text messages, video, voicemail, calendar entries, notes and data that might otherwise be inaccessible. 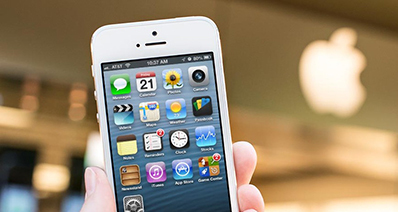 2) Recover your Lost data due to accident deletion, Failed iOS Update, Factory Reset, Water Damage, iPhone Lost/Stolen. 3) Directly scan your iTunes backup files and extract content to your computer. Step 1 Download, Install and Run The Program. The first step you should do is download and install the TunesBro DiskLab for iOS on your computer, the program now fully supports all Windows version and Mac. There is no need to connect your iPhone, iPad or iPod device to computer. Just run the program after installation. Choose recover from iTunes backup mode in the main window of the program, the program will automatically scan out all the backups on your computer, you can see the latest backup date and serial number. Choose one backup, Click "Start Scan" to restore iPhone, iPad and iPod from iTunes. After the program list all your local iTunes backups, just select the right one and click Start Scan button. The program will deeply scan all content in your selected backup files within minutes, then all of your recoverable data will be displayed on the interface of the program. Select and click on the 'Recover' button to start extracting your data. Please be assured that TunesBro DiskLab for iOS will never keep records of any personal information during the recovery, and will not make any changes to the backup files or iOS system. Keep in mind: Don't connect your iDevice to computer when running the application, please make sure the iTunes is closed so as to avoid data overwriting by synchronization.